The DRC’s nascent institutional checks and balances are too weak to curb executive overreach. And when state institutions are compromised, reform must come from the outside. This article is the third in a series that analyzes the ongoing challenges to the democratic process in the Democratic Republic of the Congo and how various actors and institutions will shape the outcome. Despite the brokering of an agreement in December that would see President Joseph Kabila step down after elections in 2017, the Democratic Republic of the Congo remains in the midst of a major political crisis. And the death of Etienne Tshisekedi, who was expected to play a major role in the transition, has only added to the country’s uncertain future. In October, the Constitutional Court postponed elections originally scheduled for November 2016 to April 2018, a move that was flatly rejected by the opposition and led to a sharp escalation of protests in major cities. The main opposition coalition has also accused the Constitutional Court and the National Independent Electoral Commission of partisan bias. A review of the DRC’s nascent institutional checks and balances shows them to be too weak to curb executive overreach. The experience of democratic transitions elsewhere has shown that when state institutions are compromised, reform must come from outside the state. An organized and resilient civil society is one such actor vital to the process of creating genuine democratic change and averting violence. Congolese civil society organizations have a long and rich history of advancing citizen interests, stretching back to the rule of Mobutu Sese Seko. Mobutu brought competing power centers under tight control, banned political parties and civic movements, created his own civil society associations, coopted citizens into his Mouvement populaire de la révolution, and replaced parliament with a central committee. Although this repressive climate drove many civil society movements underground, they continued to hone their political and organizational skills. Along with the Catholic Church, they provided a range of social services to citizens, including health, sanitation, and neighborhood security. These functions helped reinforce community resilience and self-reliance in the face of an authoritarian government that marginalized much of its population. The experience of working underground gave civil society a distinctly political role, a distinguishing characteristic of the Congolese civil society. Most of the political movements that emerged during the subsequent transition to multiparty democracy were creations of civil society organizations and depended heavily on civil society infrastructures to organize and articulate their interests. This overt political role was further asserted in the Sovereign National Conference, a legislative authority that was established by civil society during the final years of the Mobutu regime. This history of political engagement provides the larger institutional context for the close relationship between civil society and opposition parties and for the prominent role that civil society organizations continue to play in the country’s political development. Kabila’s bid to stay in power past his constitutionally mandated two-term limit has galvanized civil society in the DRC to build alliances across Congolese society. Civil society was central to the establishment of le Rassemblement, or rally, which brought four key opposition groups—the G7, la Dynamique de l’opposition, Alternative 2016, and Étienne Tshisekedi’s Union for Democracy and Social Progress—together around a common platform. Another coalition—Front citoyen—includes several civic movements, such as the G7, the Goma-based la Lutte pour le changement, and the Coalition for the Respect of the Constitution, which itself is an alliance of 33 local human rights organizations. The G7 comprises seven political parties that broke away from Kabila’s ruling coalition after demanding that he respect term limits. Some smaller coalitions include the Firimbi or “whistleblower” movement, the Engagement pour la citoyenneté et le développement, the African Association for the Defense of Human Rights, and the Lubumbashi-based Alternance pour la république. Although much smaller than Tshisekedi’s Union for Democracy and Social Progress, the Union for the Congolese Nation (UNC), led by Vital Kamerhe, is one of the heavyweights in la Dynamique. The other is the Congolese Liberation Movement, or MLC, led by Eve Bazaiba Masudi, one of the country’s most prominent female politicians. The DRC also has a dense network of mainly service-oriented organizations and social movements at the local, regional, and national levels. Their functions range from supporting the social and economic development of their communities to providing security and humanitarian assistance. Many of these functions have helped fill critical gaps in governance and service delivery that stem from the limited authority and capacity of the central government. Indeed, in the eastern DRC, the epicenter of many of the country’s armed conflicts, an expansive network of conflict resolution organizations carries out activities ranging from early warnings to atrocity prevention, mediation, advocacy, peace education, and civilian protection. Complementing civil society’s work, the Catholic Church continues to exercise significant influence on Congolese politics. Its Justice and Peace Commission is the largest faith-based peacebuilding institution on the continent, and one of the most experienced and effective. It coordinates hundreds of mediators spread across the country’s 40 dioceses. Credited with providing the infrastructure and leadership needed to organize the DRC’s 2006 general elections, the Catholic Church has long encouraged and mentored the development and growth of community-based NGOs. 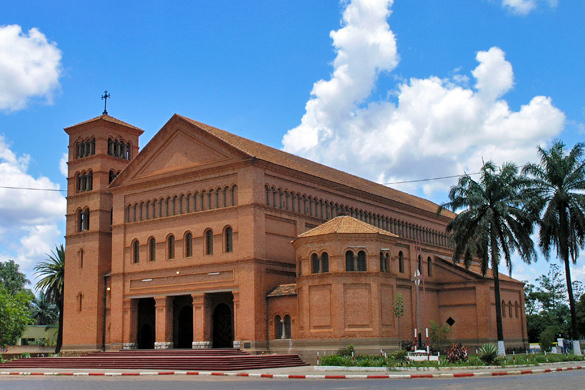 The Catholic Cathedral of Sts. Peter and Paul in Lubumbashi. Photo: Nick Hobgood. Today, the Church has joined opposition calls for the respect of constitutional term limits. On September 9, it suspended its participation in African Union-mediated talks to protest the killing of protestors. It also called for a more inclusive dialogue involving leading opposition coalitions including le Rassemblement. An October 7 statement by the Church confirmed that it will stay outside the process until the talks are expanded to include all major opposition and civil society movements and term-limit provisions in the constitution are strictly respected. 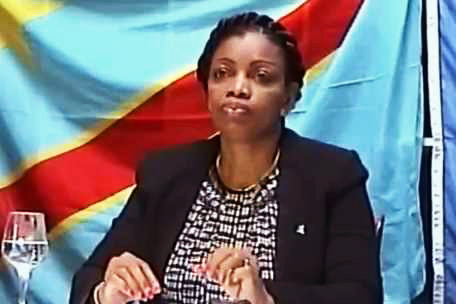 The demands by the main civil society coalitions include a commitment by Kabila to step down at the end of his mandate, international supervision of the preparation and implementation of legislative and general elections, and reform of institutions supporting democracy, such as the Constitutional Court. Civil society organizations have also supported the conditions set by le Rassemblement for its participation in African Union–sponsored talks: the release of all political prisoners, the reopening of closed media space, and an end to “judicial pursuits” against political opponents. Opposition strategies have largely centered on Kinshasa, as well as regional strongholds in Kasai, Kasai Orientale, Katanga, and South Kivu. The capacity for mass mobilization and coordination has been evident in a series of civil disobedience campaigns, including boycotts in August and October that brought Kinshasa, a city of 11 million, to a standstill. 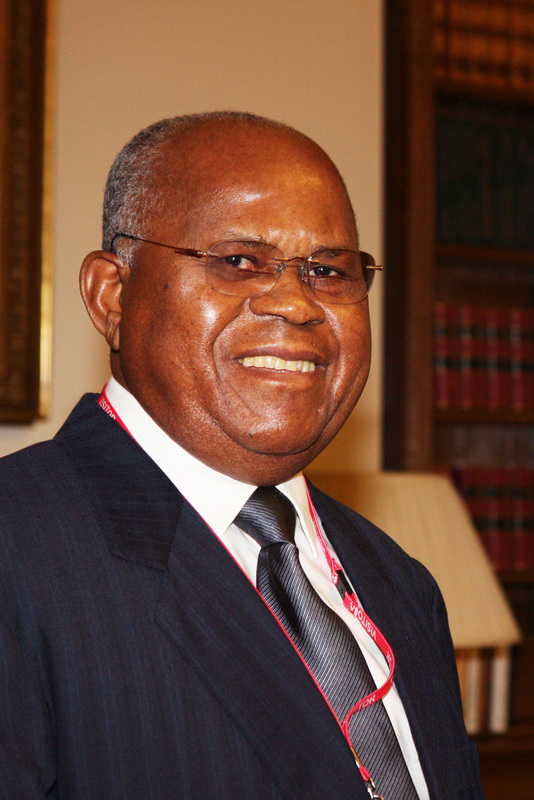 Étienne Tshisekedi. Photo: Home and Commonwealth Office. While the main civil society coalitions command widespread support, there remain significant divergences in strategy that have undermined unity. African Union–led talks involving limited civil society representation resulted in an agreement signed in October that called for provincial, parliamentary, and presidential polls by April 2018. Four civil society organizations aligned with la Dynamique and Front citoyen, signed on to the accord, along with seven political parties aligned with Vital Kamerhe’s UNC. The major opposition parties and civil society organizations associated with le Rassemblement, however, remain outside the talks and have even called for the replacement of the mediator, who they accuse of bias in favor of Kabila. This demand has been supported by Eve Bazaiba, though she has kept her party out of the process. The accord calls for a transitional government headed by Kabila and a prime minister selected by the narrow coalition that attended the talks. However, the process lacks legitimacy given its lack of inclusivity and rejection by le Rassemblement and the Catholic Church. Nonetheless, it appears to have driven a wedge in the larger opposition movement, including civil society actors. Despite this, protests continue to show high levels of planning, coordination, and endurance associated with the Congolese tradition of civil disobedience dating back to the Mobutu era. However, as the standoff between regime and opposition forces continues, the specter of violence is increasing. At least 50 protestors died in the mid-September protest organized by le Rassemblement. During the unrest, security forces burned down the Union for Democracy and Social Progress headquarters, and six police officers were killed in ensuing skirmishes. Amid the growing tensions, top security officials have been placed under international sanctions, and the Catholic Church has issued repeated warnings that the country faces an extreme risk of widespread violence. In early November, the DRC government took two radio stations off air and arrested two representatives of a third station that interviewed an opposition leader. Journalists in Danger a local Congolese initiative to defend and promote press freedom documented 72 cases of censorship, arrests, physical intimidation, and threats against journalists since protests against the regime started. Reporters without Borders’ 2016 index judged the DRC’s press as among the world’s least free, ranking 152nd out of 180 countries. Despite these challenges, the make-up of the media is reflective of the country writ large. The DRC has more than 300 radio outlets and around 90 television stations. The private sector dominates broadcasting, and the top outlets are owned by businessmen with strong links to either the ruling party or the opposition. Despite the large number of radio and television outlets, censorship is frequent, and the media environment is hampered by a generally low level of professionalism and limited capacity. The UN-sponsored Radio Okapi, for instance, is the only medium that reaches every province, and because it is owned and run by the UN, it is not subject to censorship. Apart from Okapi, the Catholic media, with its 20 FM stations and three television stations, is seen as credible, informative, and professional. The experience of Congolese media and civil society is steeped in a history of resistance, resilience, governance, and service. Civil society organizations were instrumental in steering the country away from authoritarianism leading to the country’s first multiparty elections in 2002. Civil society groups participated in negotiations to end the 1997–2003 war on an equal basis with the armed groups, political opposition, and government. Civil society actors went on to shape the legislative branch, while participating effectively in the executive and the judiciary during the post war transition. Today, again, civil society is at the forefront of calls for democratic reform. Indeed, given the weak state of DRC’s government institutions, civil society is an indispensable actor in the country’s reform process. And because of civil society’s broad legitimacy, the government must be somewhat accommodating. The question remains, however, whether due to politicization and coopting of certain elements, civil society is unified enough to give voice to the public’s demand that the government respect term limits and sustainably act as a cohesive force to navigate real change while mitigating violence. Marta Iñiguez de Heredia, “Escaping Statebuilding: Resistance and Civil Society in the Democratic Republic of Congo,” Journal of Intervention and Statebuilding, April 3, 2012. Sadiki Koko, “The Role of Civil Society in Conflict Resolution in the Democratic Republic of the Congo, 1998–2006,” Africa Center for the Constructive Resolution of Disputes, August 29, 2016. Stephanie Wolters, “DRC Slip Slides into Electoral Delays,” Institute for Security Studies, March 14, 2016. Paul Nantulya, “Different Recipes, One Dish: Evading Term Limits in Africa,” Spotlight, Africa Center for Strategic Studies, July 28, 2016.